Very rare home! Custom built 23 years ago by the current owner on his family property. Over 3500 square ft on three levels. Large open floor plan feels like it was built for today's family needs. Huge kitchen and oversized island with granite countertops. Oversized family room off kitchen and a nicely natural lit eating area. A unique four sided gas fire place separates the dinning room with 9 1/2' ceilings from the living room with soaring vaulted ceiling. This space opens onto a private patio landscaped with mature trees and shrubs. 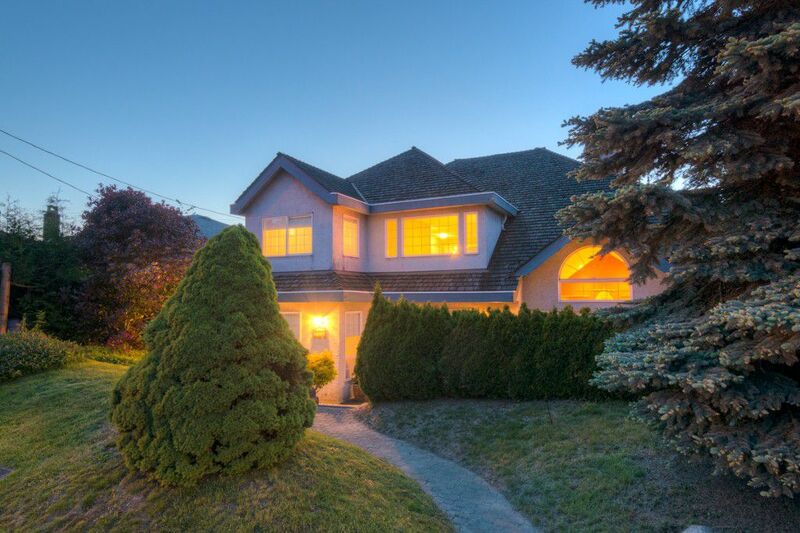 A generous main floor bedroom backs onto a full four piece bath and attached laundry room. This space could easily be converted to a main floor master with ensuite and still have room for a two piece main floor powder. Three good sized bedrooms above the main floor including a huge 400 sq ft master bedroom with 6 piece ensuite and massive walk in closet. Basement level contains a walk out one bedroom suite with its own laundry and a double garage. Newer furnace with heat pump.